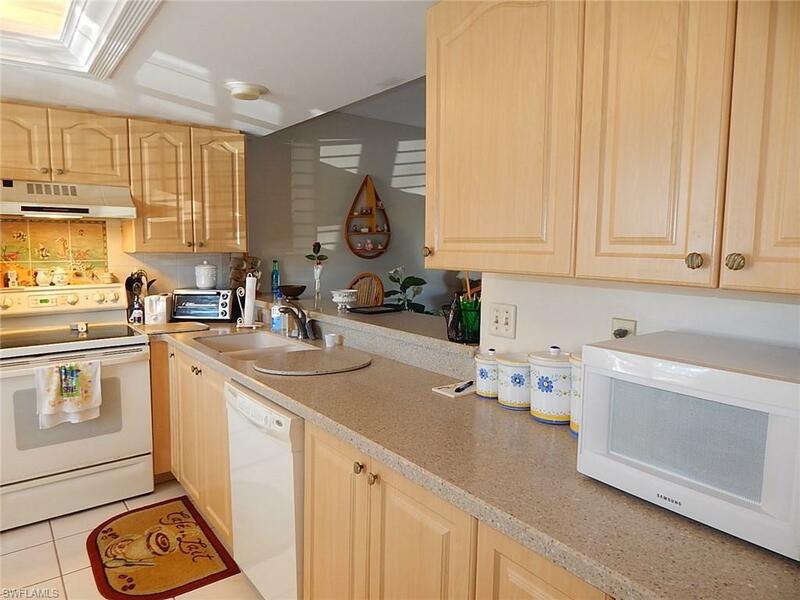 Rare, first floor, corner unit in this gulf access, canal front complex of Southern Palms. Updated 2 bedroom, 2 bath unit, with corian countertops and newer carpet. The master bedroom is spacious and looks out over the canal. Each bedroom has a large closet for plenty of storage. 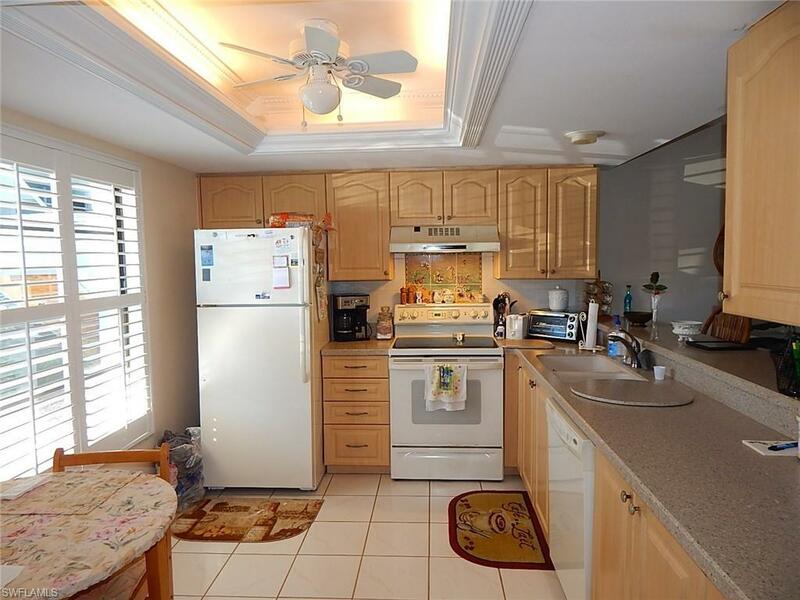 Per the seller, the A/C and water heater were replaced in 2018. Separate laundry area off the lanai. 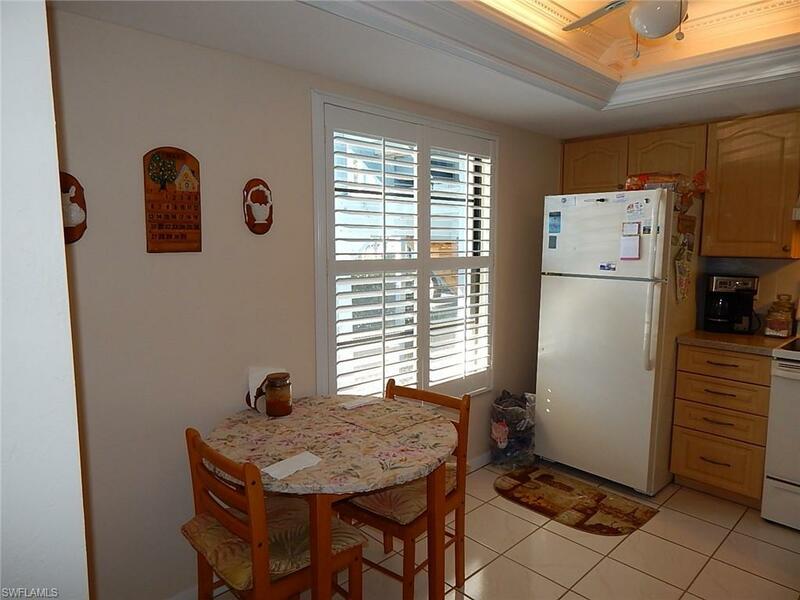 Walk right out the lanai door to the canal or to the community pool. Dock space is first come, first serve basis. The unit is being sold furnished. 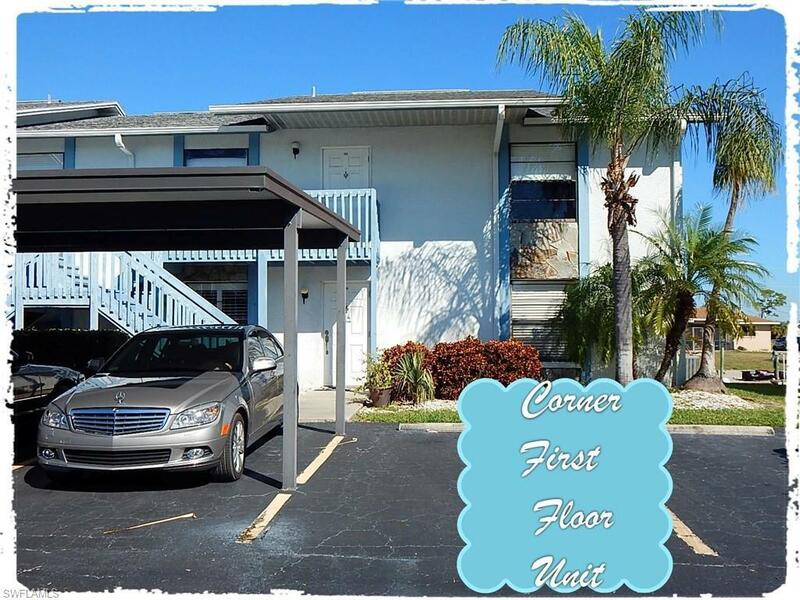 Parking is assigned and covered and close to unit front door!This complex is close to Cape Coral Parkway and shopping. Canal leads out to the river by Tarpon Pointe (one bridge). Listing courtesy of Gloria Mangum of Coldwell Banker Residential Re.